✻ T u m b l e d S T O N E S ✻ DUMORTIERITE. 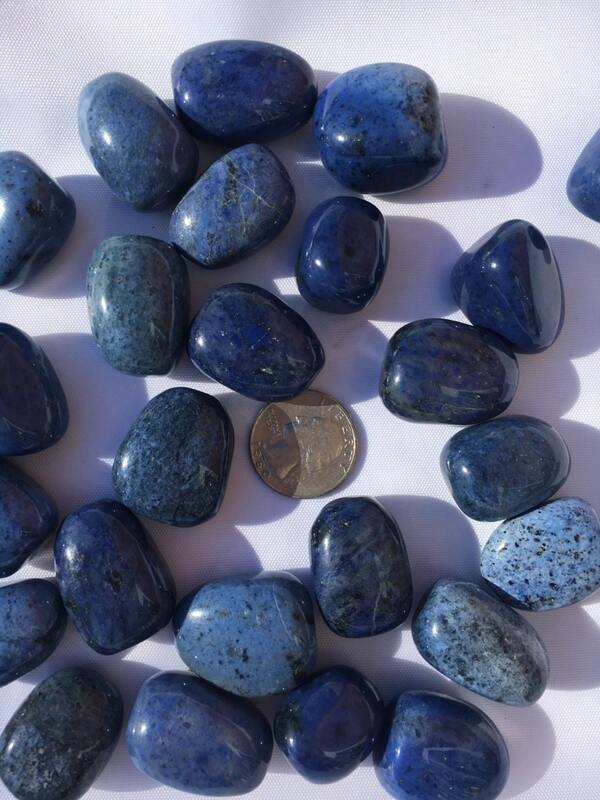 Dumortierite enhances and activates psychic abilities. Makes one more receptive when in contact with angelic or spiritual guides. Great for clearing blockages in the chakras. Highlights the patterns that underlie addictions and compulsions to reprogram the cellular memory. Breaks karmic cycle of co-dependency. Assists in standing up confidently for oneself. Promotes detachment and opens one up to self-love and love of life. Calming stone. Overcomes stage-fright, shyness, stress, insomnia, panic, fear, depression, stubbornness, and phobia.